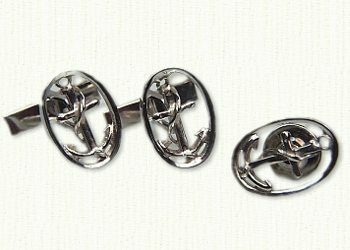 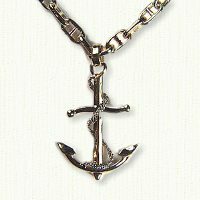 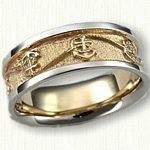 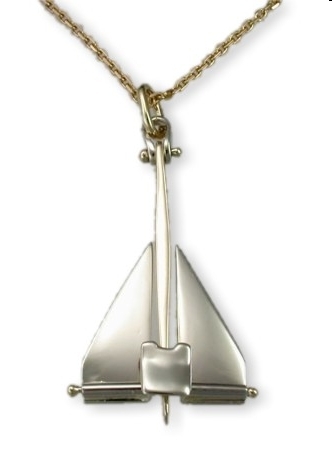 Custom Nautical Anchor Jewelry: nautical jewelry & nautical rings @ affordable prices. 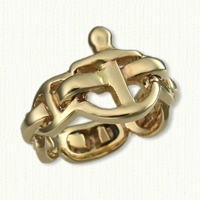 The anchor link ring with anchor. 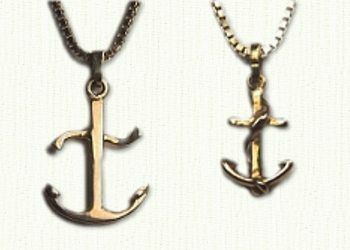 Left: an un-fouled anchor (7/8" x 5/8")($39.95 S/S). 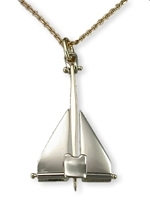 This unique piece has moveable parts. 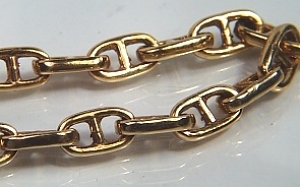 for gold pricing All Chains sold separately.